In the world of cocktails, the kinds of drinks that go by the name of Flip have changed completely over the centuries. In contemporary parlance, Flips are cocktails shaken with a whole egg to give them a creamy texture, often served as a nightcap or dessert drink. 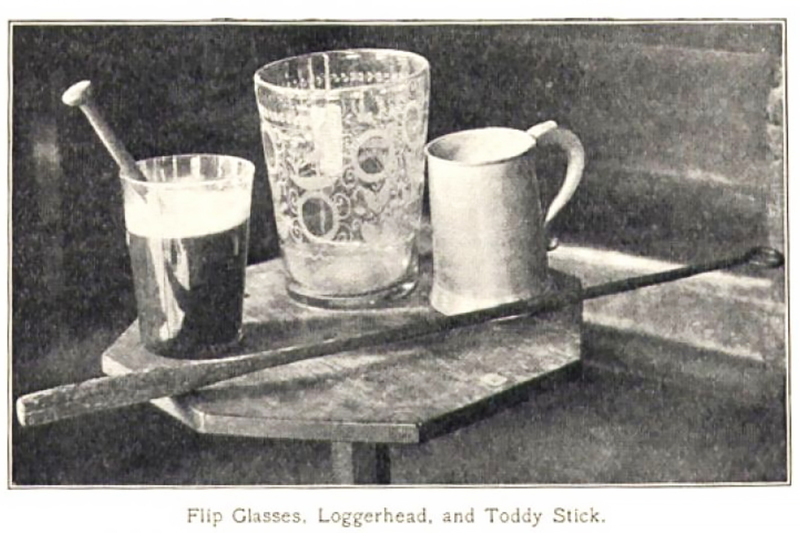 The original Flip was a completely different beast: made with ale, spirits, and sugar or molasses, and served piping hot. Eggs featured in some recipes, but not in all of them. 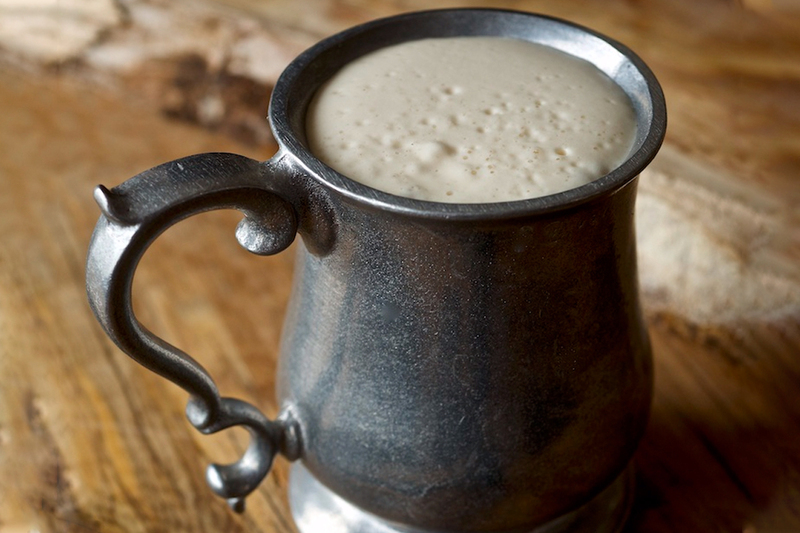 This early form was a favorite drink in colonial American taverns. Wayne Curtis, author of “And a Bottle of Rum”, describes Americans’ love of the Flip in this period as a mania. Neither form of the drink is quite so popular today, but as the weather turns cold, this is the perfect time to get to know the Flip. Fittingly, the two recipes below both include beer, tying the contemporary Flip to its colonial roots. – 6-8 oz malty English-style ale, such as Samuel Smith Winter Welcome, at room temperature. Combine all ingredients in a metal pitcher. Plunge the hot loggerhead into the drink and stir, heating until the drink is hot and a big head forms on the surface. For a more contemporary version of the Flip that doesn’t require any special tools, this Black Heart Flip from bartender David Shenaut Raven and Rose in Portland, Oregon is perfect for the season. It’s rich and creamy with dark, complex flavors. Like most modern Flips, it’s served cold but still makes a warming drink with its use of cognac and overproof rum. Combine all ingredients except for the beer in a shaker. Shake hard with ice. Strain into an ice-filled tulip glass, then top with the stout. Garnish with nutmeg.